For CNN, 2017 was a year like no other. And no, we’re not just talking about the unprecedented social media attacks launched at the network by the President of the United States. We’re also talking about ratings. 2017 was CNN’s most-watched year in network history. The 779,000 total viewer average (No. 5 across all of basic cable) is up +3 percent from 2016. CNN was up even more in the all-important adults 25-54 demo, up +10 percent in total day compared to the network’s delivery in 2016, an election year. CNN is especially strong in presidential election years during prime time, broadcasting major political debates, town halls and other events. So it’s not a total shock then that CNN was down in prime time audience this year, a non-election year. The network dropped -16 percent in total viewers, and was down -15 percent in the prime time demo (A25-54) compared to last year. That said, CNN improved upon its 2009 prime time ratings performance among adults 25-54 this year by double digits. up +44 percent. Several CNN programs smashed previous network ratings records in 2017, including: New Day with Chris Cuomo and Alisyn Camerota, The Lead with Jake Tapper, The Situation Room with Wolf Blitzer, Erin Burnett Outfront, Anderson Cooper 360 and CNN Tonight with Don Lemon. All of these shows are up double digits versus last year in the A25-54 demo. The network was especially strong in the coveted demo on weekends, defeating both Fox News and MSNBC on weekend afternoons, and on Sunday evenings. CNN led on Sunday evenings with its original series, including Anthony Bourdain Parts Unknown, and This is Life with Lisa Ling, among others. CNN reached a ratings milestone in 2017, with the network posting its highest ratings on record in Total Day among adults 25-54 and total viewers. In prime time, CNN had its second most watched year since 2008 in the demo 25-54 and total viewers. CNN will close out 2017 ranking #7 in ALL of cable in Total Day (total viewers) – the first time it has ranked in the Top 10 since 1995. The network also had its second largest share of the cable news audience since 2001 among adults 25-54 (29%), and since 2009 in total viewers (23%). For the fourth straight year, CNN surpassed MSNBC in Total Day in the demo (259k vs. MSNBC’s 206k), growing +11% vs. last year. In M-Su prime time, CNN averaged 379k among adults 25-54 during this first year after President Trump’s election, +44% more than the first year after Pres. Obama’s election in 2009 (264k) and +103% more than in 2013 (187k). All of CNN weekday prime time shows are up double digits vs. 2016 among adults 25-54. This year, CNN is on track to have its highest daytime (9am-4pm) delivery in 14 years among adults 25-54 (since 2003). The network also beat MSNBC throughout daytime programming in 2017, averaging a +49% advantage in the key demo (252k vs. 169k) and topping MSNBC among total viewers (867k vs. 856k). All of CNN’s daytime programs drew higher adults 25-54 audiences than MSNBC. CNN has now topped MSNBC during daytime hours for 21 straight years. CNN also easily beat MSNBC during weekend programming in both Total Day (234k vs. 138k) and prime time (291k vs. 135k) this year. MSNBC ranked #3 on weekends in 2017. Several key CNN programs smashed previous ratings records and are now posting their highest deliveries ever among adults 25-54 and total viewers this year, including: New Day with Chris Cuomo and Alisyn Camerota, The Lead with Jake Tapper, The Situation Room with Wolf Blitzer, Erin Burnett Outfront, Anderson Cooper 360 and CNN Tonight with Don Lemon. All of these shows are also up double digits vs. last year among adults 25-54. CNN ranked #1 among adults 25-54 topping both MSNBC and Fox News on Saturdays each hour from 1-6pm and at 7pm. The network was also #1 on Sundays every hour from 12pm-1am among adults 25-54. And CNN topped MSNBC this year in the key demo 25-54 for 20 out of 24 hours on weekdays and every hour from 6am-6am on Saturdays and Sundays. CNN registered its second closest delivery to Fox News in Total Day and prime time since 2008 among 25-54. Finally, if comparing the prime time block (8-11pm) to a year ago, please note for context that CNN had unprecedented and record-high prime time viewership during the Presidential primaries, caucuses, conventions; the most debates and town halls in cable news and the most-watched Election Night in cable news history among both adults 25-54 and total viewers. CNN has a younger audience in 2017 – averaging five years younger than Fox News and MSNBC in Total Day. In prime time, CNN’s audience is seven years younger than Fox News and six years younger than MSNBC. MSNBC is tracking its oldest audience on record. With the new measurement Out of Home Viewing now available, CNN averaged a +7% lift in Total Day among 25-54 in 2017. Among all reportable OOH cable networks, CNN ranked #2 with 25-54 viewers gained, only behind ESPN. In Total Day, CNN reached 76.013 million total viewers this year, +9% more than Fox News’ 70.019 million and +29% more than MSNBC’s 58.971 million. Among viewers 25-54, CNN reached 28.901 million, a +19% advantage over Fox News’ 24.284 million and +35% more than MSNBC’s 21.332 million. • Early Start with Christine Romans and Dave Briggs (4-6am) ranked #2 across cable news with 156k among adults 25-54, topping fourth ranked MSNBC by +43% and was ahead by +10% in total viewers (403k vs. 365k). Early Start grew +30% in the demo and +19% in total viewers vs. last year. • New Day with Chris Cuomo and Alisyn Camerota (6-9am) is on track to beat MSNBC’s Morning Joe this year in the key demo 25-54 (228k vs. 227k) – marking the third time in the last four years that New Day topped Joe. The Cuomo/Camerota led program had its highest adults 25-54 (228k) and total viewer (635k) delivery on record, and the network’s second highest demo delivery (since 2003) and highest total viewer delivery during the 6-9am time period on record. New Day grew an impressive +43% among adult 25-54 and +25% in total viewers vs. last year’s busy presidential election year. 2017 also marks New Day’s largest share of the cable news audience on record. • CNN dayside (9am-4pm): CNN dominated MSNBC during dayside programming this month among adults 25-54 (252k vs. 169k) and total viewers (867k vs. 856k), posting its highest delivery since 2003 among 25-54 and second highest on record (behind only 1995) in total viewers. CNN dayside programming also increased +29% in the demo and +15% in total viewers vs. a year ago. CNN has now topped MSNBC during daytime programming in both adults 25-54 and total viewers for 21 straight years. • The Lead with Jake Tapper (4pm) posted it highest demo 25-54 and total viewer delivery on record this year and the network’s second highest 4pm performance on record (behind only 1995). The Lead ranked #2 in cable news in 2017 in both the key demo 25-54 (284k) and total viewers (1.043m), MSNBC ranked #3. The Tapper-led program grew +27% in the demo and +16% in total viewers compared to last year. • The Situation Room with Wolf Blitzer also had a very strong year, posting its best annual ratings on record at both 5pm and 6pm among adults 25-54 and total viewers. The Sit Room at 5pm ranked #2 in cable news in the demo (305k), increasing +24% compared to last year’s busy election year. At 6pm, the Blitzer-led show also ranked #2 in cable news in the demo (339k), up +30% vs. 2016. • CNN weekday prime time (M-F, 8-11p) CNN averaged 414k in weekday prime time this year among adults 25-54 — the first year after President Trump’s election. Compared to the first year after Pres. Obama’s election in 2009, CNN increased 41% (414k vs. 293k) and was up 112% vs. 2013 (414k vs. 195k). If comparing to the 2016 prime time block (8-11pm), CNN had record high weekday prime viewership during the primaries, caucuses, conventions, debates, town halls and the most watched Election Night in cable news history among both demos. • Erin Burnett Outfront (7pm) posted its highest deliveries ever this year – 371k among adults 25-54 and 1.073m in total viewers. This is also the network’s second best 7pm performance on record (behind only 1995). EBOF ranked #2 in cable news for the fourth straight year, easily topping MSNBC’s Hardball (334k) among adults 25-54. The Burnett-led program grew double digits vs. last year, up +27% in the demo and +13% in total viewers. 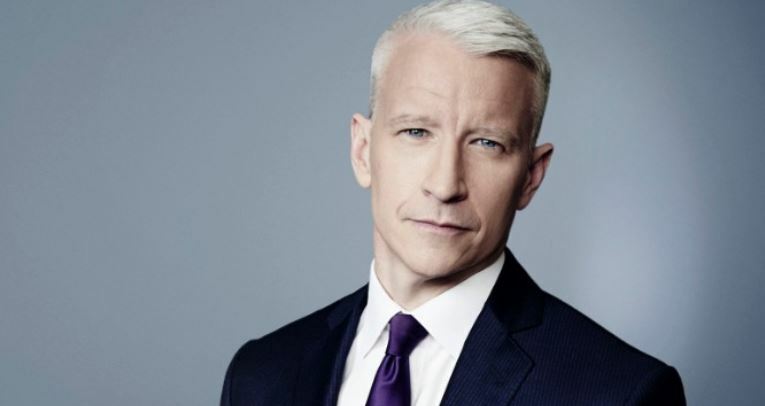 • Anderson Cooper 360 (8pm) also posted the highest adults 25-54 (425k) and total viewer (1.238m) 8p performance on record. AC 360 surpassed MSNBC’s All in with Chris Hayes for the 5th straight year among adults 25-54 (425k vs. 388k). The Cooper-led program was up +16% in the demo and +4% in total viewers compared to last year’s big political election year season. AC 360 was CNN’s top-rated program in weekday prime time. • CNN’s 9pm programming (mostly Anderson Cooper but also Town Halls and special programming) grew double digits this year in the demo, up +16% among adults 25-54 (423k) and +10% among total viewers (1.192k) vs. 2016. This was the network’s highest 9pm delivery since 2003 in the demo and best since 2008 in total viewers. • CNN Tonight with Don Lemon (10pm) had its best deliveries ever in both the demo 25-54 (399k) and total viewers (1.105) and the network’s second highest ever during the 10pm time period (behind only 2008). The Lemon-led show grew the most of all CNN’s weekday prime time programs compared to 2016, increasing +22% among adults 25-54 and +17% in total viewers. The second live hour of CNN Tonight at 11pm was also up double digits vs. last year. • On Saturdays, CNN New Day ranked #2 this quarter, growing double digits vs. 2016 among adults 25-54. • Smerconish (Sat., 9am) ranked #2 in the demo 25-54 (276k vs. MSNBC’s 159k) and among total viewers (916k vs. MSNBC’s 705k). The program was up +31% in the key demo and +16% among total viewers vs. a year ago. Since premiering in 2014, this is the program’s highest adults 25-54 and total viewer yearly performance on record in the 9a-10a hour. The show’s 6pm edition also ranked #2 in cable news. • CNN Newsroom with Fredricka Whitfield (Sat., 10am-1pm) ranked #2 in cable news, growing double digits vs. last year among adults 25-54. From 1-3pm, the Whitfield-led newscast ranked #1 in the demo adults 25-54, also growing double digits compared to last year. • CNN Newsroom with Ana Cabrera (Sat., 3-6pm) ranked #1 among adults 25-54 each hour, while MSNBC ranked third. The Cabrera-led program was up double digits every hour vs. a year ago. • Inside Politics with John King (Sun., 8am) ranked #2 in cable news among both adults 25-54 (244k) and total viewers (806k) in 2017. MSNBC ranked 4th and 3rd. The King-led program grew +24% among adults 25-54 and +14% in total viewers vs. last year. • State of the Union with Jake Tapper (Sundays) ranked #2 in cable news at 9am in both adults 25-54 (310k) and total viewers (953k). The program grew +30% in the demo 25-54 and +17% in total viewers compared to last year’s busy presidential election year. This is the highest yearly performance on record for the Tapper-led program among adults 25-54 and total viewers in the 9a-10a hour. The noon edition ranked #1 in cable news in the demo with 297k, Fox News followed with 272k and MSNBC was third with 182k, growing, +19% from a year ago among 25-54 and +4% in total viewers. MSNBC was a distant third at both 9am and noon. • Fareed Zakaria GPS (Sundays) ranked #2 in cable news at 10am among 25-54 (287k, up +21%) and in total viewers (1.052m, up +14%). Since premiering in 2008, this is the program’s highest adults 25-54 and total viewer yearly performance on record. The Zakaria-led program was #1 at 1pm in the demo with 242k, Fox had 238k and MSNBC registered 162k. The program was up +26%/9% respectively. MSNBC was third. • Reliable Sources with Brian Stelter (Sun., 11am) ranked #2 in cable news among 25-54 (289k) and in total viewers (951k). The Stelter-led media program was up +27% in the demo and +12% in total viewers vs. last year. MSNBC was a distant third at 11am on Sundays. Since taking over in 2013 as host, this is Stelter’s best yearly performance on record among both the demo 25-54 and total viewers. Source: The Nielsen Company via MultiTrak and NPower, 2017 to-date (12/26/16-12/17/17) vs. previous yearly averages. Median age is based on P2+. Reach is average monthly and based on 75% unification, 1-minute qualifier. Based on Live data from 1994-2005, Live+7 data from 2006-2016, and Live+7 (thru 12/3/17) blended with Most Current (12/4/17-12/17/17) data for 2017 to-date. Out of Home Viewing: syndicated OOH data service; 2017 to-date (12/26/16-11/19/17); includes reportable Out of Home cable networks; based on Live+7 data. • The History of Comedy Season 1 (2/9-8/13/17, Thu 10p/Sun 10p): Averaged 532k among adults 25-54 and 1.394mm in total viewers over its eight premiere episodes. It was CNN’s second most-watched CNN Original Series to-date in the demo and total viewers. Across cable news in its time period, the series ranked #1 in the key demo 25-54 and #2 in total viewers. • Anthony Bourdain: Parts Unknown Season 9 (4/30-7/2/17, Sun 9p): Averaged 430k among 25-54 and 1.054mm in total viewers over its eight premiere episodes. The series posted its highest season performance ever among both adults 25-54 and total viewers, and was the fifth most watched Original Series to date among 25-54. ABPU also ranked #1 among 25-54 across cable news in its time period, outperforming the combined delivery of Fox News and MSNBC and #2 in total viewers. Every episode also ranked #1 among 25-54 across cable news in the hour. • United Shades of America with W. Kamau Bell Season 2 (4/30-7/2/17, Sun 10p): Averaged 402k in the key demo 25-54 and 931k among total viewers over its eight premiere episodes. United Shades grew above its Season one average by +15% in 25-54 and +20% in total viewers. The Bell-led series ranked #1 among 25-54 across cable news in its time period, outperforming the combined delivery of Fox News and MSNBC and ranked #2 in total viewers. Every episode also ranked #1 among 25-54 across cable news in the hour. • The Nineties (7/9-8/20/17, Sun 9p): Averaged 563k in adults 25-54 and 1.222mm in total viewers over its seven premiere episodes. The Nineties is the most-watched CNN Original Series to-date among 25-54. The series ranked #1 among both demos across cable news in its time period, outperforming the combined 25-54 delivery of Fox News and MSNBC. Every episode also ranked #1 among adults 25-54 across cable news in its time period, outperforming the combined delivery of Fox News and MSNBC. • Declassified: Untold Stories of American Spies Season 2 (7/22-9/30/17, Sat 9p): Averaged 245k among adults 25-54 and 735k in total viewers over its eight premiere episodes. Season two grew from the first season by +9% among 25-54 and +24% in total viewers. Across cable news in its time period, Declassified ranked #2 in cable news in both demos. The series nearly doubled the 25-54 audience of MSNBC in its time period. • Anthony Bourdain: Parts Unknown Season 10 (10/1-11/26/17, Sun 9p): Averaged 397k in the demo 25-54 and 948k among total viewers over its eight premiere episodes. This season, the series posted its 2nd highest Fall season performance ever among both 25-54 and total viewers. ABPU ranked #1 among 25-54 across cable news in its time period, outperforming the combined delivery of Fox News and MSNBC. The Bourdain-led program ranked #2 among total viewers. Every episode also ranked #1 among 25-54 across cable news in the hour. • This is Life with Lisa Ling Season 4 (10/1-11/26/17, Sun 10p): Averaged 321k in 25-54 and 811k in total viewers over its eight premiere episodes. The Ling-led series posted its highest season performance ever among both 25-54 and total viewers. Across cable news in its time period, the series ranked #1 among 25-54 and #2 in total viewers, doubling the audience of MSNBC in that hour among total viewers. • The Wonder List with Bill Weir Season 3 (10/7-11/11/17, Sat 9p): Averaged 186k in adults 25-54 and 618k among total viewers over its six premiere episodes. The Weir-led series posted its second highest season performance in total viewers. Across cable news in its time period, The Wonder List ranked #2 in cable news among both demos, beating MSNBC by +56% in 25-54 and +6% in total viewers. Source: The Nielsen Company via NPower. CNN Original Series to-date: 4/14/13-11/26/17. Premieres only. Median age is based on P2+. Based on Live+7 data. • Now More Than Ever: The History of Chicago Premiere (Sun 1/1/17, 8p-10p): Delivered 268k among adults 25-54 and 1.067mm total viewers. The film ranked #1 across cable news in its time period among both 25-54 and total viewers. • The End: Inside the Last Days of the Obama White House Premiere (Wed 1/18/17, 9p-11p): Delivered 521k in the key demo 25-54 and 1.302mm total viewers. Across cable news in its time period, the film ranked #2 in 25-54 beating MSNBC by +46%. Among all 38 CNN Films and CNN Films Presents premieres to-date (thru 11/12/17), ranked #5 among 25-54 and #7 among total viewers. • Unseen Enemy Premiere (Fri 4/7/17, 10p-11:43p): Delivered 286k P25-54 and 754k P2+. Among all 38 CNN Films and CNN Films Presents premieres to-date (thru 11/12/17), ranked #13 among P25-54 and #14 among P2+. • Elian Premiere (Thu 8/24/17, 10p-12a): Delivered 319k among adults 25-54 and 839k total viewers. The film attracted the youngest audience across cable news in its time period. Among all 38 CNN Films and CNN Films Presents premieres to-date (thru 11/12/17), ranked #9 among P25-54 and #13 among P2+. • The Reagan Show Premiere (Mon 9/4/17, 9p-10:30p): Delivered 305k in the key demo 25-54 and 913k total viewers. The CNN Film attracted the youngest audience across cable news in its time period. Among all 38 CNN Films and CNN Films Presents premieres to-date (thru 11/12/17), ranked #10 among 25-54 and #12 among total viewers. • Legion of Brothers Premiere (Sun 9/24/17, 9p-10:30p): Delivered 224k in the key demo 25-54 and 658k total viewers. Across cable news in its time period, the CNN Film ranked #1 among P25-54 and #2 in total viewers. The film topped MSNBC in the time period by +94% among total viewers. • Anthony Bourdain Presents: Jeremiah Tower: The Last Magnificent Premiere (Sun 11/12/17, 9p-11p): Delivered 278k in the demo 25-54 and 739k total viewers. Across cable news in its time period, the CNN Film ranked #1 among 25-54 and #2 in total viewers. The film outperformed MSNBC in the time period by +82% in total viewers. Source: The Nielsen Company via NPower. CNN Films and CNN Films Presents premieres to-date: 3/10/13-11/12/17. Premieres only. Median age is based on P2+. Based on Live+7 data.